Depth of Extinction [Official Site, itch.io] is a retro-styled turn-based tactics game with RPG elements. It’s got a very interesting setting, so I took a look. I have a bit of a problem with sci-fi turn-based strategy games, in the way that I love them so much that I simply have to try all of them. Depth of Extinction is another late-night discovery while endlessly browsing various sites for new and interesting Linux games. It’s interesting to see another game to use the itch.io “First Access” program, where they sell only a limited amount of copies, which allows a developer to let a few people in while they don’t get overwhelmed by feedback. It’s also another chance for me to keep using the really slick itch.io open source client. 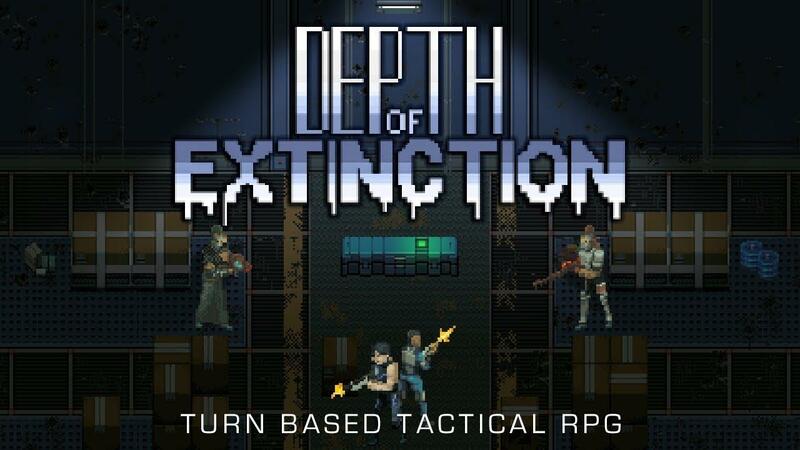 Depth of Extinction is inspired by games like FTL, X-Com (originals and reboots), Fallout 1 & 2, Shadowrun and Wasteland 2. You can see the inspiration in it, but it does have a certain unique flavour to it. 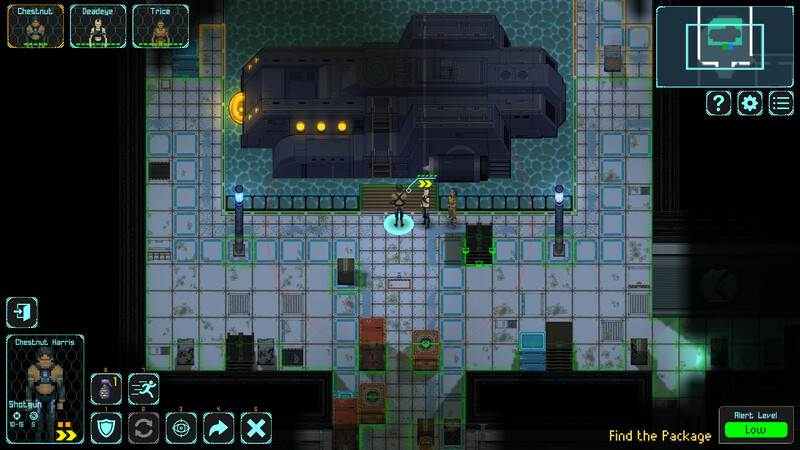 You move between areas like you would in FTL, by picking zones. 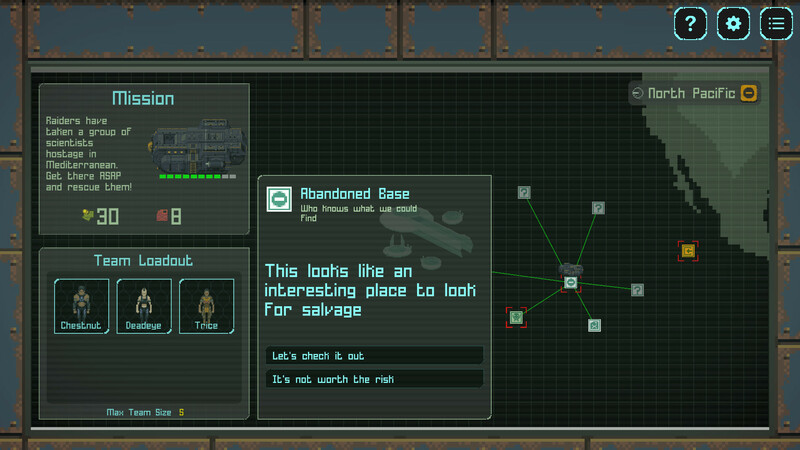 Once picked, you then move into an X-Com style turn-based strategy game to take out enemies and acquire loot. You can also find Merchants to buy and sell equipment, hire new team members and so on. It’s not just your team members you need to worry about, as your sub can also take damage so watch out for those pirates. The first time I came across some, I decided to follow them instead of outright attacking them. Bad idea, as they damaged my sub and got away—dammit! It’s not actually all set underwater, as the most recent release has added platform environments which take place above the water for certain facilities. They’re unique in the way that they can be a bit more cramped than the inside levels, since you’re dealing with small pathways. This means there's not always a chance to get your units into cover, so they can be a little more challenging. The Linux version was a little rough to get going, with it crashing during the intro. I spoke to the developer about it and for now they’ve made the Linux version skip it so you can at least play it. I was pretty impressed at how quick they were to respond to my feedback! I think this is going to be an incredible game when it’s finished. It’s already damn fun now! For those who love their strategy game, it’s pretty damn sweet. There's quite a lot of content already including mini-bosses and bigger bosses, slavers, pirates and more to discover. It has some really quite beautiful music too which is pretty eerie, can't wait for them to add more to the soundtrack! It even has a little bit of rather good quality voice acting for your crew as well, which was a big surprise. It’s coming to Steam sometime in February, but they’ve just opened up round three of the First Access on itch.io with 50 copies that can be purchased. The setting is unique , don't see many games take place completely underwater nowadays. Hope there is a good story to it. It's a good game, got it a week ago! Going to wait for it to go final though. Would recommend, specially for people who like Turn-based strategy but not so much the world scape and base developement side of things. Cool! I have it on my steam-wishlist and I´ll buy as soon as it´s available for purchase. February is starting to look like a fun month this year. I've been wanting to get my hands on a decent XCOM-like game for a while. This looks high on the priority list. Proud to say I got it since the first build on Itch.io ? Haven't played much of it, though. It's promising, I love the cyberpunk Waterworld setting.